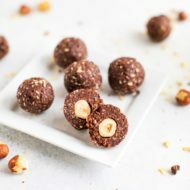 Make sunbutter at home with this simple and cost-effective recipe! 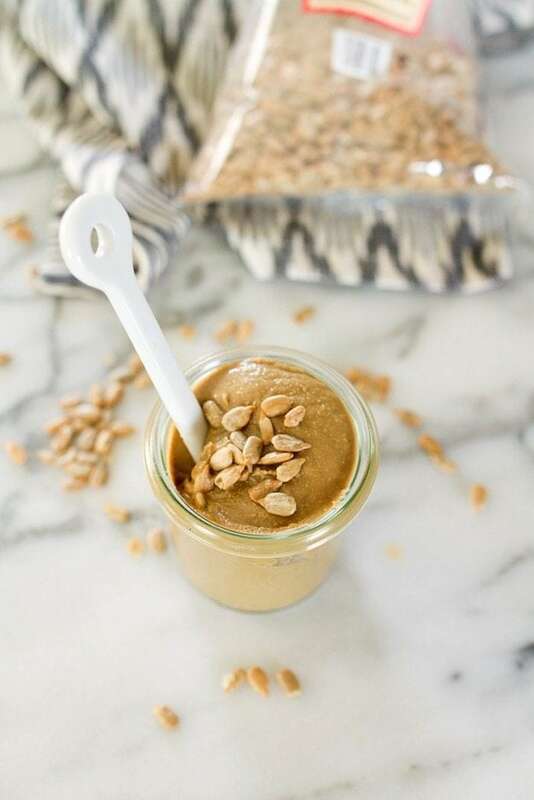 Roasted sunflower seeds, maple syrup and vanilla make for a delicious sunflower seed spread that’s great for those with nut-allergies and safe for school. 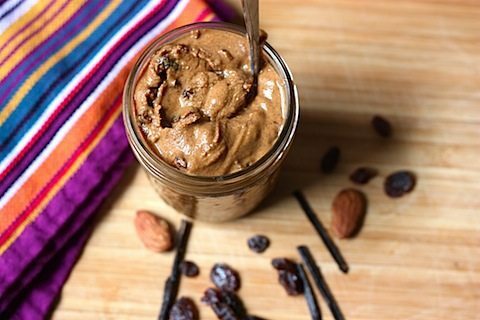 As most of you know, I’m a nut/seed butter fanatic and love making my own so I wanted to pop in this afternoon and share how easy it is to make sunbutter at home. 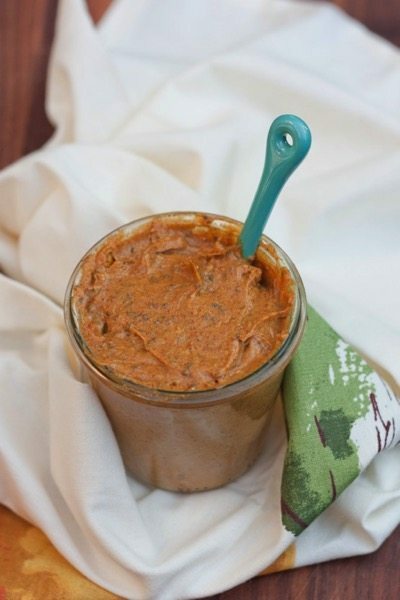 All you need is roasted sunflower seeds, a food processor and about 15 minutes to make plain sunbutter! It’s so easy you don’t really need a recipe. 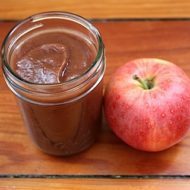 I like plain sunbutter okay, but found that I like it even more with a few add-ins like maple syrup, vanilla and sea salt so that’s the recipe I’m sharing today. 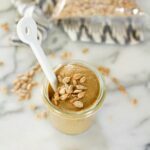 This sunbutter is incredibly easy to make at home in your food processor and works as a substitute for peanut butter in most recipes! 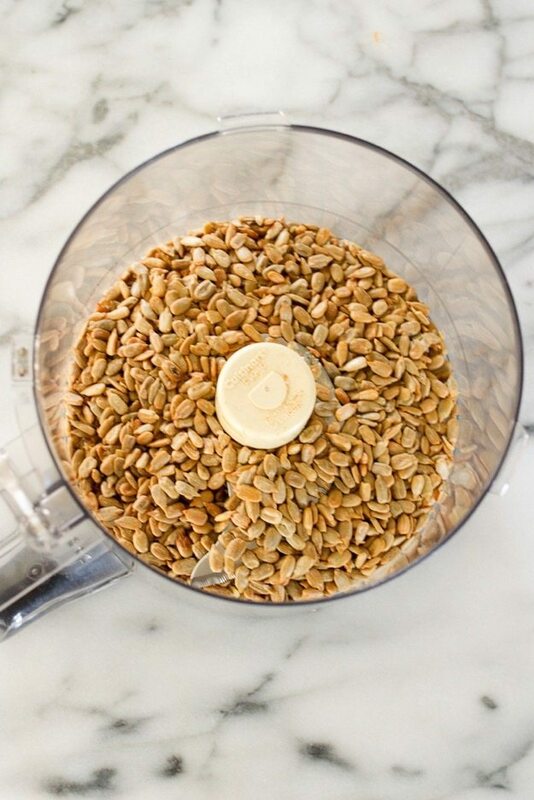 Place sunflower seeds in your food processor and process for 9-10 minutes. If the mixture is still dry and thick after 10 minutes of processing, process a little longer. It may take an additional 5-6 minutes for the sunflower seed oil to release and thin out. 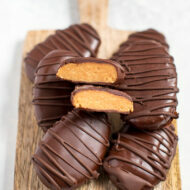 Once the sunbutter has reached your desired consistency, add in maple syrup, vanilla and sea salt. Give the processor a few more pulses to combine, then turn machine off and remove the sunbutter with a spatula. Store in an airtight container at room temp for up to a week. Keep in the fridge for longer storage. Definitely buy roasted sunflower seeds or roast them yourself in the oven. The roasting process allows the natural oils to be released and makes for a smoother and thinner texture. See you bright and early tomorrow morning! Enjoy the rest of your Sunday evening. This sounds fabulous! 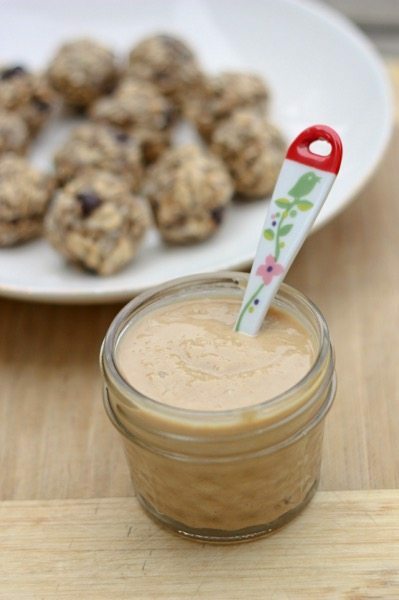 I love nut butters!